As you are aware, if you read my blog on a regular basis, I love pinterest. I spend way too much time on pinterest. I also get inspired when I am pinning all the great ideas. My latest discovery was this blog (click on the picture). 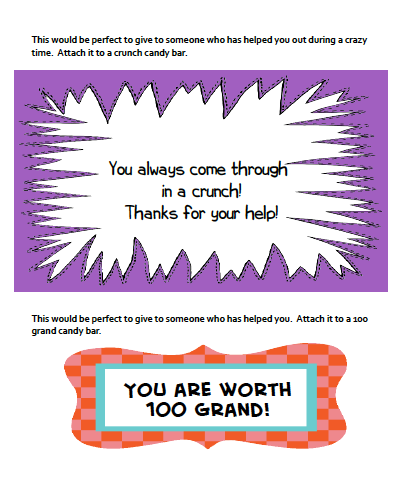 They have many cute sayings that go along with different types of candy. 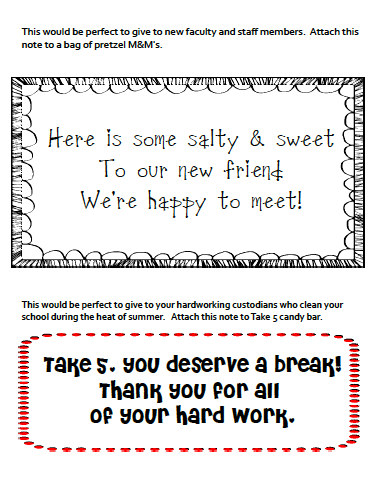 With the new school year quickly approaching, I thought you might like to give a sweet treat to some friends so I made some tags you can download for free. These were all inspired by this blog, go check it out! Click HERE to download these notes. I have over 8500+ pins. Go check them out! Click here to visit my boards.